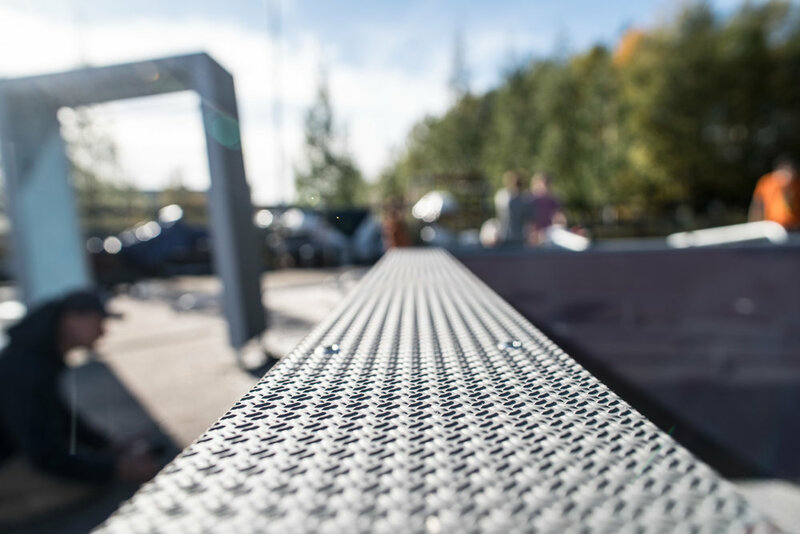 Sport Play Equipment Company has partnered with Lappset and Burke to offer sport + fitness, parkour and senior exercise platforms. Perfect healthy upgrade for various campuses to public, commercial and private spaces. Fitness platforms that provide a variety of movements and chain exercises. They utilize your body weight and proper techniques. These modern, efficient and energetic designs are developed with professionals for athletes of all types. One of the goals of parkour is to achieve smooth, uninterrupted movement. 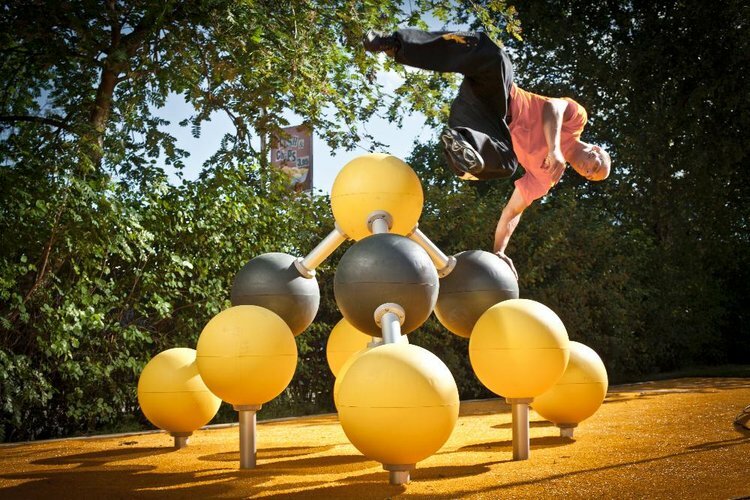 For this reason, its best to develop parkour areas that utilized interesting & organic routes. Senior Sport equipment strengthens motor skills, range of motion and dexterity. Focusing on relative forms of activity to enhance physical & mental well-being. 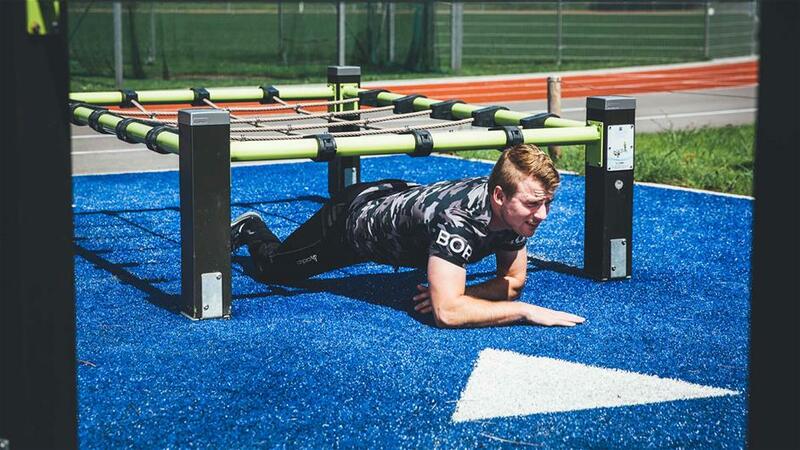 Lappset fitness bootcamps are the ultimate proving ground. Great for building strength & cross training. 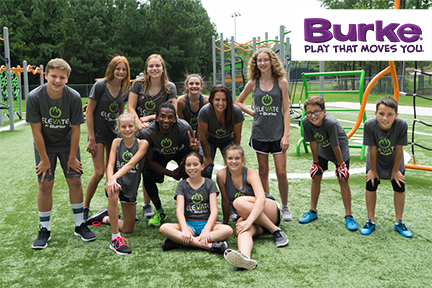 Burke’s ELEVATE was inspired by the fast-growing obstacle course fitness and its ability to engage users. PERFECT FOR CITY LIFE. Panna Arena is a form of soccer / futbol in which your opponent attempts to pass the ball between your legs to score. Lappset Fitness products are designed to meet the needs of both cross-fit enthusiasts as well as casual users, therefore all fitness products are equipped with QR codes that links to instructive work out videos. Burke’s recreation products will move you! Their strength is the fusion of traditional and active fitness-based exercise platforms. Burke's advanced modular systems can be configured & customized many ways.